Exhibiting richness in its tradition, preserving its rich history, and manifesting a splendid cultural heritage is what Rajasthan is all about. Diverse as it is, the place has certain magnetism in its air that pulls travellers to be a part of its culture and tradition. Vibrant in terms of people, cultures, and art forms, Rajasthan is every traveller's paradise. With so much to look for and so much to experience, this western Indian beauty has something for every traveller. The city of Jaisalmer is all about the sun-soaked sand dunes, breathtaking palaces, forts exhibiting royalty and heroism and art forms spreading magic all around. 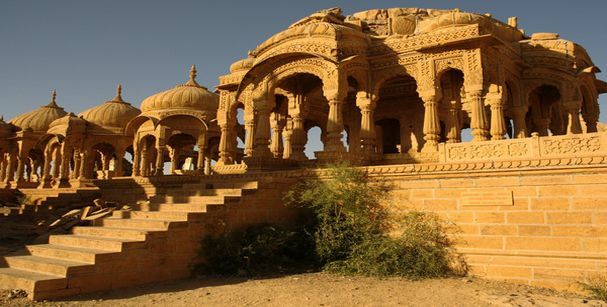 Being one of the top five places to visit, Jaisalmer is a lovely way to start your journey to en route Rajasthan. The best time to visit Jaisalmer is from September to April, wherein the weather is pleasant enough to make your travel during the day quite easy, and the temperatures drop at night, giving the place a magical feel, making it perfect for camping. Visit the Jaisalmer Fort, known for its stunning architecture and deep-rooted history. Visit the Gadisar Lake, one of the best places to see in Jaisalmer, a stunning artificial lake surrounded by temples, forts, and shrines. Indulge in some dune bashing and camping at the Sam Sand Dunes. Enjoy a camel ride in the sun-kissed deserts of Jaisalmer. Make a visit to the Longewala Border. Attend the Jaisalmer Desert Festival, held January- February every year. 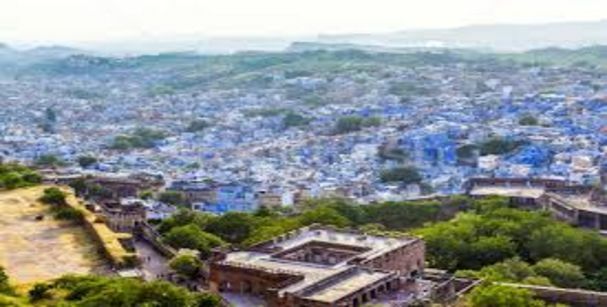 Known for its majestic forts, its sunny weather, and its blue houses, Jodhpur is a traveler’s paradise, backed by a strong history and a rich culture. With a lot of activities to indulge in, and Jodhpur sightseeing, the place is a must visit. Since Jodhpur is mostly sunny, you can visit the place any time of the year, without having to fuss about the heat or humidity. The weather in Jodhpur is pleasant throughout the year. Visit the Mehrangarh Fort sitting majestically on a hilltop, offering a stunning view of the beautiful Jodhpur city. Visit the Mandore Gardens, exhibiting ruins of Mandore, temples, and monuments. Do not forget to visit the Jaswant Thada, one of the best places to visit in Jodhpur a mausoleum housing various domes and cenotaphs, intricately carved in the classic Rajasthani style. Indulge in a thrilling flying fox experience at the Mehrangarh Fort, with a beautiful view of the Jodhpur city as you zip line from one end to the other. 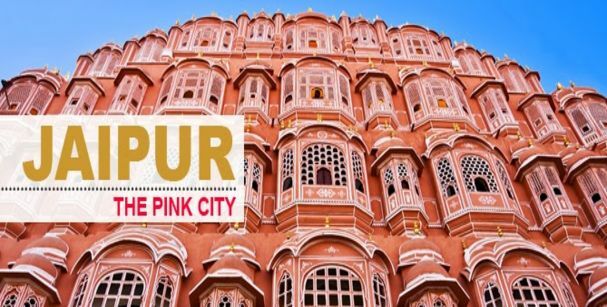 Housing some of the most popular monument, forts, and places, Jaipur is a sight to behold. The capital of Rajasthan is a true host for the tourists, welcoming them with utmost warmth. 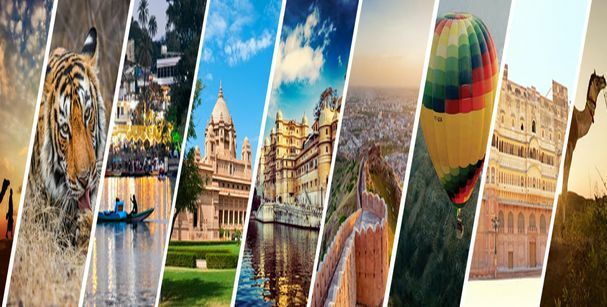 Having the best of connectivity to major cities in Rajasthan, tourist places in Jaipur exhibiting a flurry of traditional handicrafts, Jaipur is a joy to be at. Jaipur is pleasant throughout the year, except for the peak summers, where temperatures soar quite high in degrees. So avoid the scorching heat in the months of May and June. Other than that, Jaipur is a pleasant city to spend time in. Head for a desert safari in Jaipur. Shop like crazy from a huge variety of traditional Rajasthani handicrafts. The magnificent palaces, the glittering lakes, and the enchanting landscapes make Udaipur the Venice of the East. Known for its magical winters and its colorful cultural heritage, Udaipur encompasses a diverse history and a rich tradition not only in its people but in its very soil. 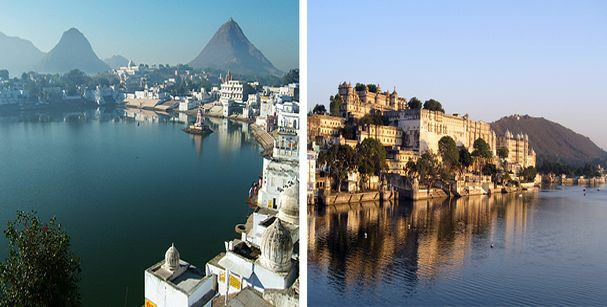 The most appropriate time to witness the beauty of Udaipur is between November and March. During this time, the weather is pleasant throughout the day and chilly during the night. So you can travel throughout the day, without worrying about the weather. Visit the city palace Udaipur, a structure straight out of fairytales. Resting on the banks of Lake Pichola, the City Palace is undoubtedly an architectural marvel. Visit the Kumbalgarh Fort, a magnificent fortress standing on the Aravalli Ranges. A World Heritage site, the fortress is a treasure holding a rich historical significance. Enjoy boating on the Lake Pichola, one of the most interesting Udaipur points of interest with your loved ones. Indulge in some photography while on your visit to the famous palaces. Drool over the classic beauties at the vintage car museum. The beauty of Rajasthan is that it is vibrant, and not monochrome. The diversity that the place exhibits through its colors is truly exceptional. Pushkar is a place that has the original form of rural India in its very soil and it is overwhelming to see such culture and tradition in the heart of Rajasthan. Pushkar holds the world famous Pushkar Camel Fair which is held in from October to November. So do visit the place during that time, to witness the multi-day livestock and camel fete. The Pushkar Camel Fair is something that you wouldn’t want to miss for the world. Also, visit the Pushkar Lake to be a part of the enchanting evening aarti. You can also visit the Meerabai temple, another important site in Pushkar. Enjoy boating at the Pushkar Lake. Indulge in some photography of the colorful camels at the fair. Founded in 1770 by Pratap Singh, the city of Alwar is a reminiscence of many won and lost battles that still hold great significance with their majestic fortresses. The place is abundant in flora and fauna, representing a balanced ecological system. 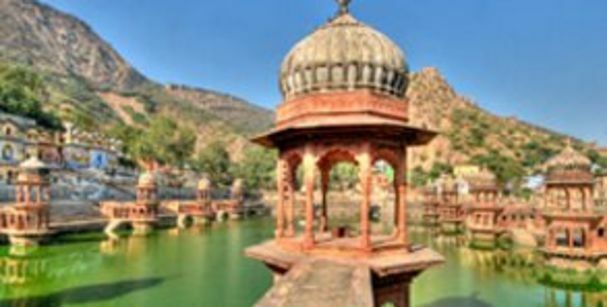 The most appropriate time to visit Alwar is between October to March. Avoid visiting Alwar during summers due to the scorching heat. Visit the Bhangarh Fort, known for its haunted stories and let your stomach take a double take at the next voice you hear. Be friends with the tiger at the Sariska Tiger Reserve. Pay your respects at the Karni Mata Temple. Explore the haunted at the Bhangarh Fort, before 6 pm. Indulge in some photography at the Gopal Sagar Lake. Explore the fauna of Alwar in a jeep safari and site camping for an offbeat experience. Rajasthan is a full-fledged package for an impeccable travel experience, in the lap of nature, surrounded by Rajasthani culture and history. With so much to explore and experience, you will not only be in love with the place but also be mesmerized with its beauty and its scent as you travel. Visit Rajasthan this time of the year and get ready to experience the magic that the place unfolds.